See and join this event also in Meetup.com. The MyData conference is an event arising from the hearts and minds of the MyData Global Network. We, the existing MyData advocates, want this network to grow and become stronger, since a human-centric data revolution is all-year-around work! The conference is one way to push the movement forward and this year’s event MyData 2017 (Aug 30th – Sep 1st in Tallinn and Helsinki) is just around the corner. Come to get an overview on the coming event and celebrate the concrete work of our hard-working programme team, tireless volunteers, and indefatigable organisers. 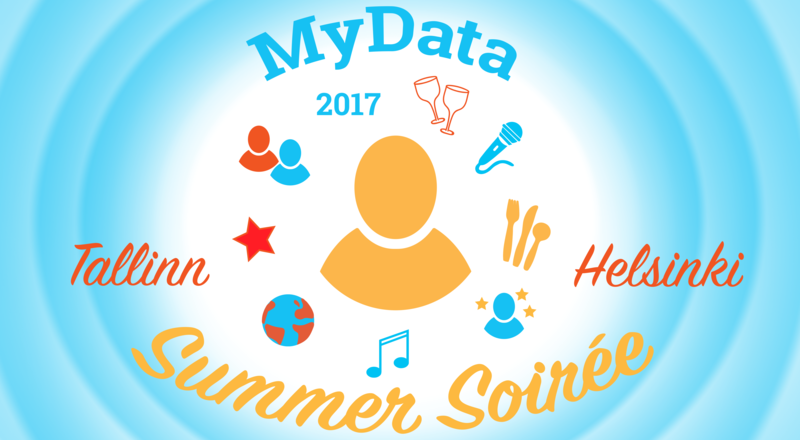 Eat, Meet, MyData – repeat! The evening is relaxed and dedicated to meeting new and old friends around MyData – the awesome people behind those email addresses and Slack handles. We will begin by launching the full programme of MyData 2017. Then we hear a few words from the MyData Supermen Jogi and Tanel, and from our partners. Afterwards, there will be some fun and games for sure – and we will raffle 2 full MyData 2017 conference passes, one in Tallinn and one in Helsinki. Join us for a summery party with inspiring people, tasty food and refreshing drinks!